Whether they're preening their feathers or taking a drink, all birds need water. 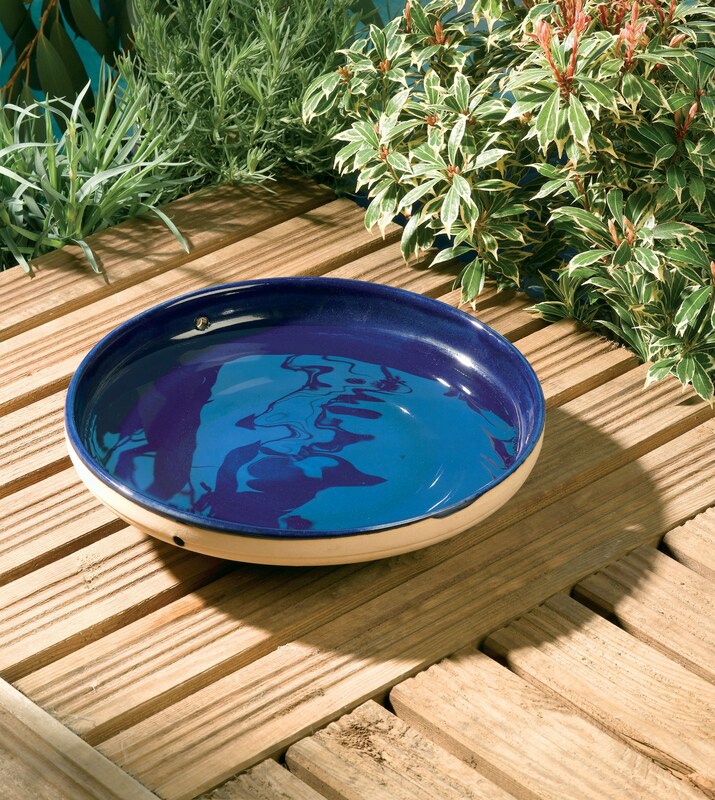 With the Mini Glazed bird bath from Rainbow-Gardman, you can offer birds a clean and safe spot to drink right in your yard. This ceramic bird bath has a gorgeous blue interior that gives the water a refreshing look. Not only can the bath be used on the ground or deck but you can also hang it by hooking chains into the three holes around the bath. 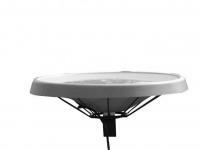 If you already have a bird bath somewhere in your yard, this mini bird bath also makes a great tray for seeds. 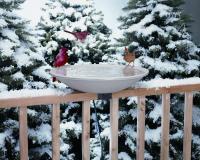 So give your backyard birds a safe place to drink and preen with this bird bath from Rainbow-Gardman.